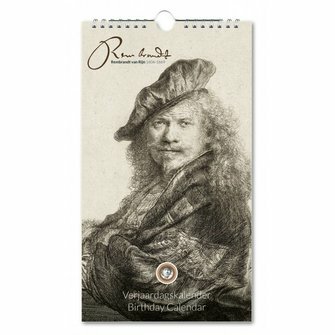 Birthday Calendar Rembrandt with his famous etchings. 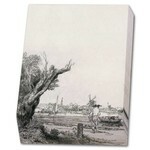 For instance, in January View of Amsterdam, in April the Hundred Guilder print. In February some self-portraits and in October the beggars at the door. 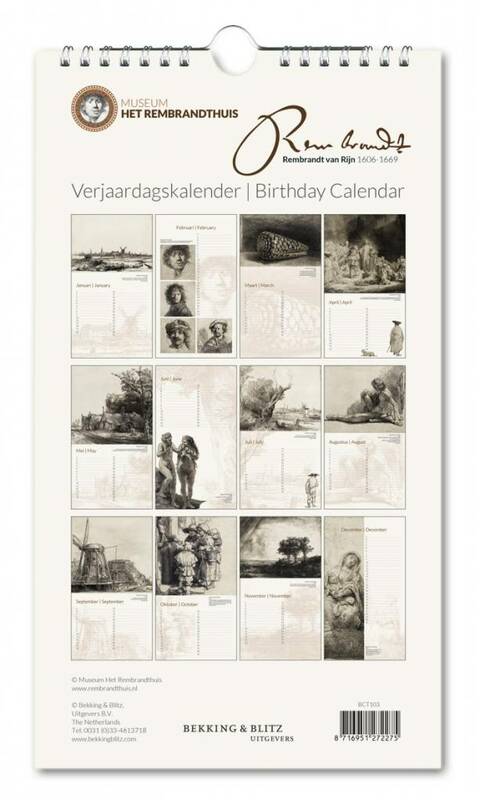 The calender is printed on high quality Tintoretto paper and measures 17 x 30 cm. Pages can be easily turned over. 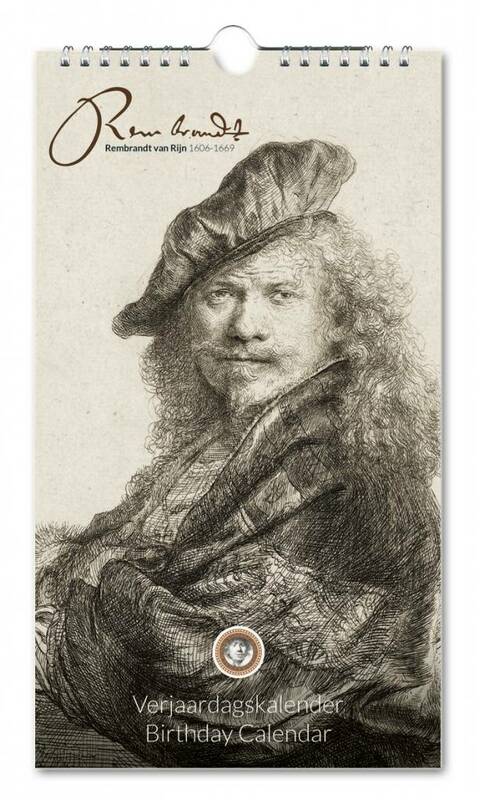 A small hook allows for hanging in the smallest room of the house, the way the Dutch do.